Ipsy: The curated monthly beauty subscription is encouraging fans to express themselves and celebrate unique beauty via makeup. The brand recognized that six-in-10 people have experienced bullying and they want to change that. For #GivingTuesday, the brand put together a special collection of 11 products with all profits going to Ditch The Label, an anti-bullying charity. Tinder: This #GivingTuesday, this popular dating app has partnered with DoSomething.org to launch its #ImAvailable campaign. 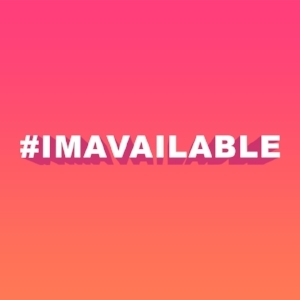 Tinder is asking users to post with the #ImAvailable hashtag to let people know they are there to help – whether it's listening to someone's concerns or helping them move to a new apartment. For each post that includes the hashtag, Tinder will donate $100 to the global good platform. The dating app has pledged to make up to a $200,000 donation. Lyft: This year, Lyft is expanding its Round Up & Donate program which lets riders round up their fare to the nearest dollar and donate the difference to any nonprofit Lyft supports. On #GivingTuesday, Lyft is adding two new nonprofits to the list: Feeding American and Save the Children. Riders can choose to participate by picking out a cause they want to support, after which their fares will automatically round up to the nearest dollar and the difference will be donated to the pre-designated group. To kick off the giving season, #GivingTuesday has raised a record-breaking $274 million online. And, although Black Friday and Cyber Monday still dominate holiday sales, many companies are choosing to forgo the traditional door buster deals, which focus solely on increasing sales. Instead, brands are evolving their holiday approach and joining #GivingTuesday in response to consumer expectations of doing more than making profit – more brands are now focusing their holiday efforts on amplify consumer donations and doing good.